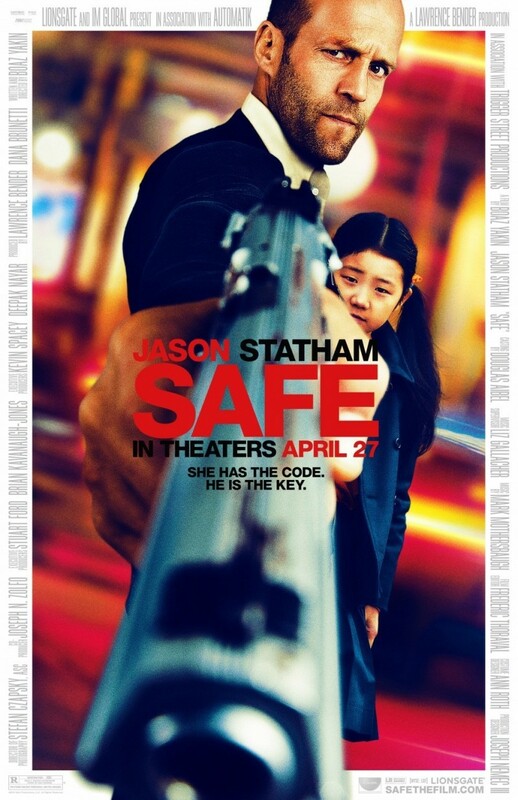 Safe DVD and Blu-ray release date was set for September 4, 2012. The head of the Russian mafia, Emile Docheski, is angered when ex-cop, Luke Wright wins a fixed fight. This leads to the tragic killing of his pregnant wife. The mob boss also threatens to kill anyone Luke associates with. Devastated, Luke becomes a homeless bum. Meanwhile, a Chinese mathematics genius named Mei is kidnapped by Triad boss Han Jiao. The crime boss intends to use her gift for his criminal activities. Mei is sent to New York with her tough gangster minder, Quan Chang. She is kidnapped by Emile, who wants her to reveal a specific number. However, a corrupt police captain working for Han retrieves her. Luke rescues Mei from being returned to Han. He must now outwit two gangs to save their lives.